More fabric fun and pieceful play! From fans to fancy fiddled fabrications and some material magic, here is a wealth of novel notions. Get into garlands, dive into daisies and twiddle some tucks. Ideal for all ages and abilities. Fabric fun and pieceful play! Eighteen quick and easy projects from bags to boxes, cases, covers and propper uppers, flowers and festive decorations, tucked in cushions and glamorous gadgets. Ideal for all ages and abilities, this book will provide hours of fun and inspiration for further future ingenious creations. Fabric fun and pieceful play! Eighteen quick and easy projects from totes to soft boxes, Christmas crackers, festive decorations, bunting, pin cushions and sew much more. Ideal for all ages and abilities, this book will provide hours of fun and inspiration for further future ingenious creations. A Workshop on a Disc! Tweak, twiddle and twitch! Step by step guide to two different textured designs. Play with squares for intriguing effects - it’s material magic! Attach borders, pipe, add a zipped back to create a truly professional finish. Jennie shows you all the tricks, shares the tips and so much more with her clear and concise instructions. 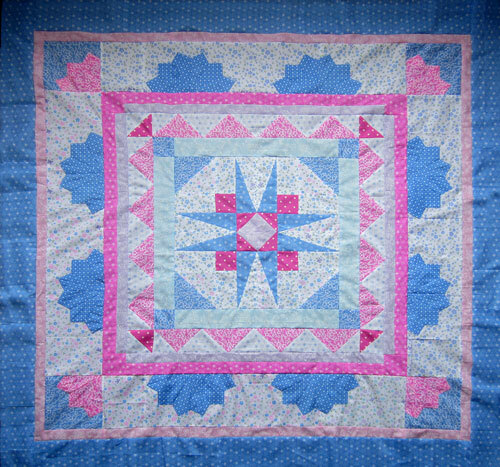 Jennie takes you through a step by step guide to six 12” square traditional designs: Amish Friendship Star, Log Cabin, Rail Fence and more. Learn to cut, sew and press squares and triangles with confidence and skill. Combine the designs for a small Sampler quilt. Ideal for all. Have your own personal teacher on your screen! Explore the fascinating world of weaving, scrunching, tucking and pleating; from the Bias Bobble to the delights of Trumpets and the Origami Twist, plus much more. Includes a fully illustrated section on finishing techniques and extensive design suggestions for development. 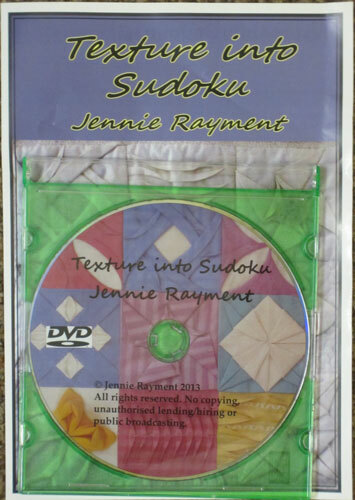 Ideal for both beginners and expert needlewomen and men. 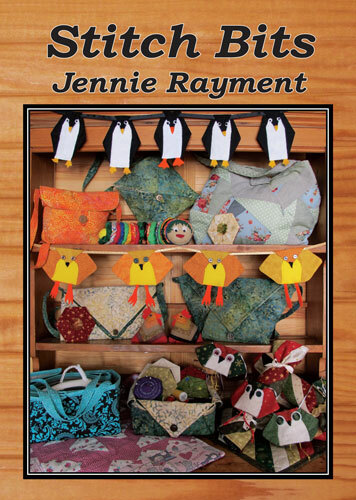 A lighthearted book filled with natty notions and small projects from bags to boxes, tableware and a host of other delectable delights, all eminently suitable for the serger although a sewing machine can be substituted. Humour rules throughout in the many hilarious anecdotes littering the text. 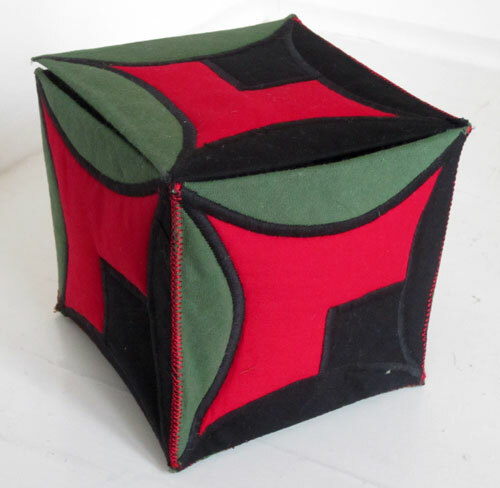 It is a ‘must have’ for all serger owners. A gorgeously galactic explosion of colour and shape. 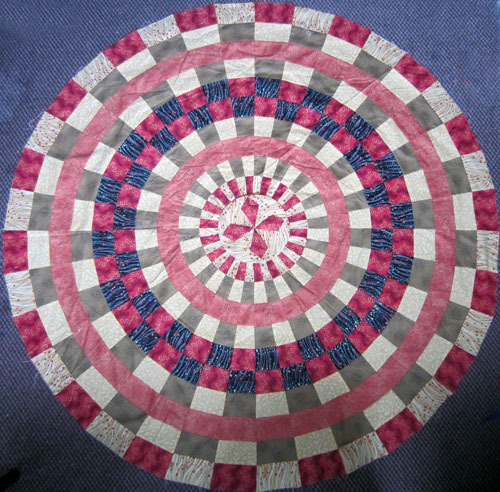 Create a panel or a quilt. Add a scalloped border to complete a most intriguing cosmic creation. 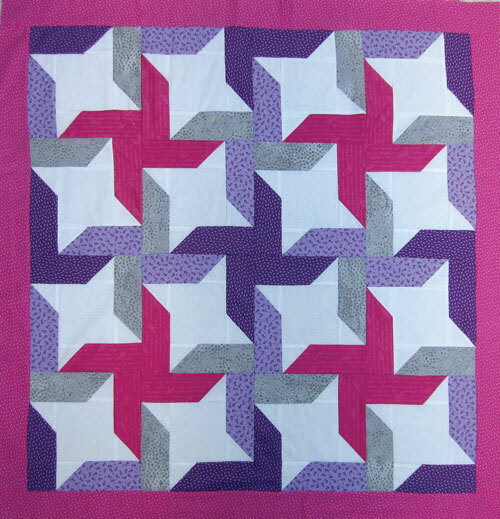 Simple to sew, just follow Jennie’s novel method for piecing - it is ingenious! Creat two designs - 60 x 60" quilt or 31 x 31" wallhanging.